A histogram showing the distribution of 130 rare variants in a population of 10,000 individuals. The x-axis shows the number of variants per individual; the y-axis shows the number of people with a certain number of risk variants. The number of 130 variants was chosen as it leads to ~1% of the population having 5 or more variants. And this number of variants is needed to be affected with a probability of 95% or higher. 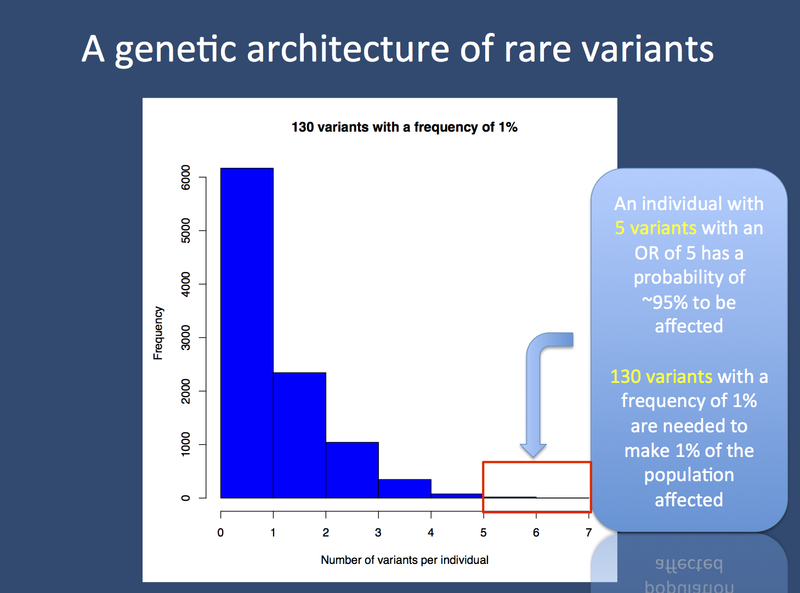 In summary, 130 variants are needed for a 1% disease with 1% variants that have an odds ratio of 5.